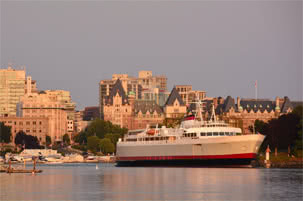 Whether you are already living in Victoria or are moving to this lovely city, you might be thinking about buying a house in Victoria BC. Real estate in Victoria has proven a sound investment; housing prices have risen steadily over time and even during this period of economic turmoil have remained stable, in sharp contrast to many other real estate markets across Canada. First time buyers can feel intimidated by the Victoria real estate market, but they shouldn’t be! With 13 municipalities in the Capital Regional District offering all sorts of housing there is something for everyone, from reasonably priced condos and townhomes all the way up to multi million dollar estates. First time buyers may need to look to the outlying municipalities for their starter home, but with some perserverance (and the help of an experienced realtor) you will find a home that suits your needs and budget. If you already have a foot on the property ladder, finding that upgrade home in Victoria is usually a bit easier. For one thing, you probably have some equity in your first property which means more money to apply to the next home. A little more cash will broaden the range of homes and expand your choice of neighborhoods. Perhaps you want to move closer to the city for better access to all the amenities Victoria has to offer. Or you might want to go in the opposite direction and find that perfect family home in the country. The Saanich peninsula and western communities have much to offer those who are looking for rural serenity. Maybe you’re in the position to buy your dream house; luxury, executive and estate homes in Victoria aren’t difficult to find. Whether your taste (and budget) runs to a well appointed luxury home in a desirable neighborhood, a rural acreage where you can fulfill those equestrian dreams, or a grand oceanfront property, there is much to choose from. At some point, most of us need to downsize our accomodations. When the children have grown and gone and that big family home requires more upkeep than you are willing to provide, it’s time. 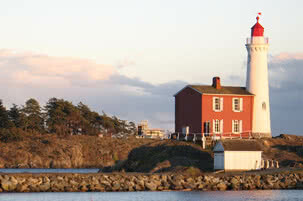 Because of the reputation this city has for attracting older people, there are a lot of retirement communities in Victoria. This category encompasses everything from condos or townhomes (including those within 50 or 55 plus communities) to various levels of assisted living facilities. 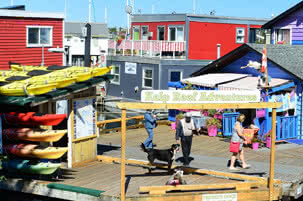 Many people who enjoy travelling for extended periods of time enjoy life in a condo or townhome community. You aren’t responsible for all the maintenance, and when you’re away your home is generally more secure than a single family dwelling. Regardless of your age or position on the property ladder, buying real estate in Victoria is certainly doable, and probably wise. And an experienced realtor can help you buy a home in Victoria whether you are a first time buyer or experienced in real estate investment.